​Barcelona are interested in signing Tottenham Hotspur's Belgian defender Toby Alderweireld in the January transfer window, as a back up to Samuel Umtiti. Umtiti has struggled with a knee injury this campaign which has severely restricted his game time for the Blaugrana. The Frenchman has made a measly eight appearances in all competitions, playing the full 90 minutes on just five occasions. The 25-year-old is currently undergoing treatment on his knee cartilage in Qatar, forcing the ​Catalans to search for defensive alternatives, with Alderweireld among their transfer targets according to ​​Sport. The Belgian, whose contract with the north London outfit expires in June, has kept six clean sheets in 17 appearances this campaign. He has been hesitant to commit his long term future to ​Spurs and may depart for free in the summer if the Lilywhites fail to meet the Belgian's demands. It comes as no surprise, however, after manager Mauricio Pochettino dropped the defender in favour of the less experienced Juan Foyth in their ​north London derby defeat to rivals ​Arsenal on Sunday. It would deal a massive blow to Spurs, considering the quality of the player and his experience, and it would further dent any hope of winning silverware for the first time since their League Cup triumph way back in 2008. 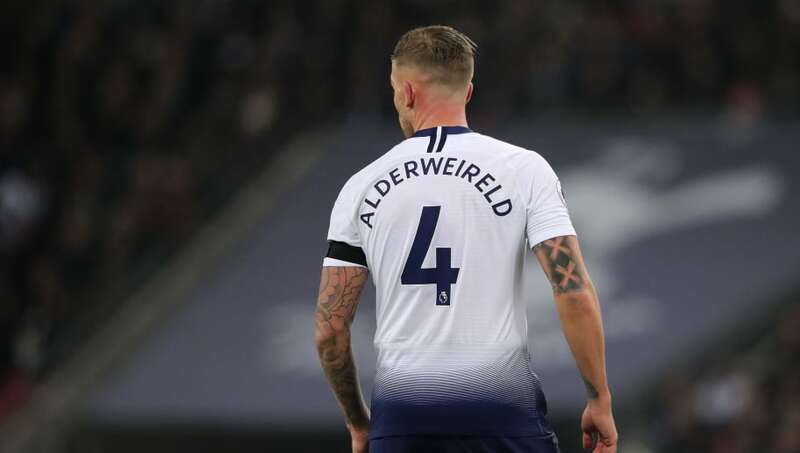 Should Barcelona choose to pursue the defender, it may be too good an offer for Alderweireld to resist, considering the quality the squad possess, their title ambitions and their chances of winning the UEFA Champions League; which has eluded him at Tottenham. The Belgian won La Liga with ​Atlético Madrid, with whom he finished as runners-up in the 2014 Champions League, and could return to Spain with an arguably better side in January.